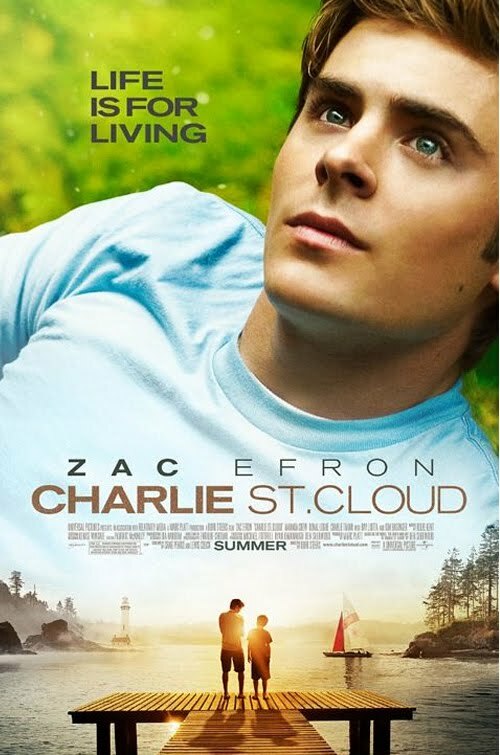 The critics have not been kind to Zac Efrons attempt at leaving his 'High School Musical' image behind him. In reality though, it is going to take a lot more than this to push Efrons image into a more mature realm. As I exited the theater, the crowd mainly consisted of tweenage girls and they seemed rather happy with the film. I was pleasantly surprised by how much I enjoyed, or maybe "didn't mind" is a better phrase, the film. With it receiving such harsh reviews I was afraid this would be a huge disappointment to what looked like an otherwise enticing film in its trailers. I haven't read the book on which this is based, but if you've seen a drama about the loss of a loved one you probably have seen what the makers were going for here. 'Charlie St. Cloud' comes off very much like a Hallmark or Lifetime film, where the emotions and melodrama are shoved right up in your face. The emotions aren't as contrived here as it is in those made for TV movies, but the tone of the film is pretty darn close. As for Efron, I am a guy who can admit that he is a charming actor and an easily likeable guy. If not for his committed performance the film would fall from only sometimes cheesy to completely hackish. Efron makes Charlie, who is supposed to be this town weirdo, but we are never really given this characteristic from the way the film presents him, into a guy just trying to deal with his grief. We are given the point of view that he has simply retreated from life after being at fault for the death of his young brother. We understand, even if it isn't the way we may have acted in his shoes. Or maybe we would. The twist comes pretty early on, we get that he can "see" his dead friends and family members. We don't know why, but that doesn't matter. We know as soon as the girl he has eyes for decides to do what she's told not to that this is going to end exactly how we think it will. That is not to say the movie doesn't have its charming moments. What are essentially cameos by Kim Basinger and Ray Liotta not only add a tad bit of cred to the film but also bring a more raw and human emotion to it, especially Liotta, who is moving in every frame he appears. You can tell the people behind the film are really trying to make an emotionally moving film, and in certain moments, they succeed. It deals with some difficult situations in life and though its supernatural twist may take some viewers off guard, it never gets too weird. I didn't mind the movie. It wasn't as good as I hoped it would be, but it isn't as bad as they're saying either.